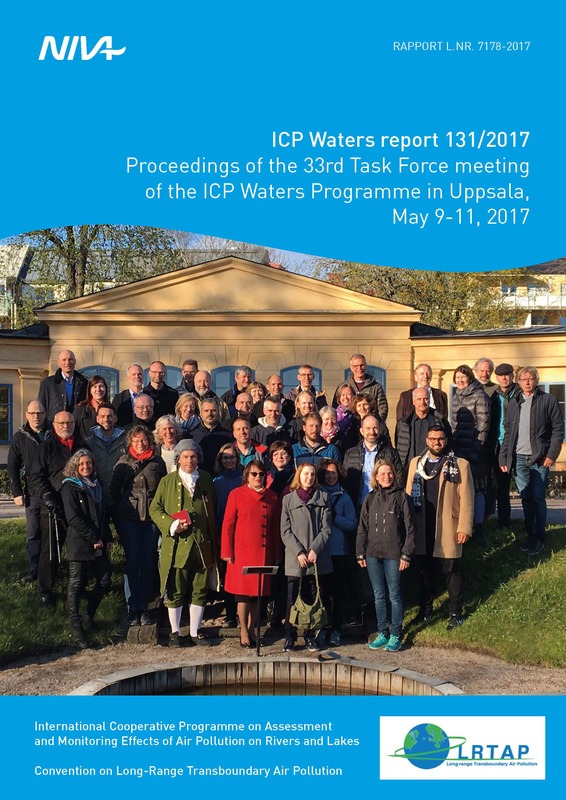 The table below lists the peer-reviewed papers associated with the ICP Waters programme. If you are involved in the project and your work is published, please let us know so we can update the list. Having troubles loading the following table? We are working on it. Meanwhile, try another web browser. 2014 Trends in Surface Water Chemistry in Acidified Areas in Europe and North America from 1990 to 2008 Garmo, Ø. A., Skjelkvåle, B. L., de Wit, H.D., Colombo, L., Curtis, C., Fölster, J., Hoffmann, A,. Hruška,J., Høgåsen, T., Jeffries, D. S., Keller, W.B.,Krám, P.,Majer, V.,Monteith, D. T., Paterson, A.M., Rogora, M., Rzychon, D., Steingruber, S., Stoddard, J.L., Vuorenmaa, J. and Worsztynowicz, A. Water, Air, & Soil Pollution 2014; 225: 14. 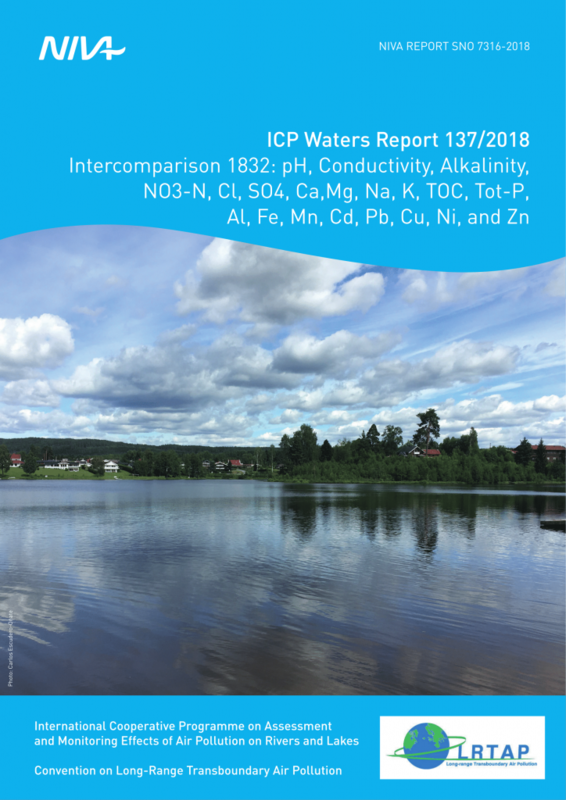 2011 Chemical and biological recovery of Lake Saudlandsvatn, a formerly highly acidified lake in southernmost Norway, in response to decreased acid deposition Hesthagen, T., A. Fjellheim, A. K. Schartau, R. F. Wright, R. Saksgård and B. O. Rosseland Science of the Total Environment 2011; 409: 2908-2916. 2008 Selective exploitation of large pike Esox lucius—Effects on mercury concentrations in fish populations Sharma CM, Borgstrøm R, Huitfeldt JS, Rosseland BO Science of the Total Environment 2008; 399 (1-3): 33-40. 2007 Brown Trout in Lochnagar: Population and Contamination by Metals and Organic Micropollutants Rosseland BO, Rognerud S, Collen P, Grimalt JO, Vives I, Massabuau JC, Lackner R, Hofer R, Raddum GG, Fjellheim A, Harriman R, Piña B Lochnagar: The Natural History of a Mountain Lake 2007; Chapter 12: 253-285. 2007 Dissolved organic carbon trends resulting from changes in atmospheric deposition chemistry. Monteith, D. T., J. L. Stoddard, C. D. Evans, H. A. de Wit, M. Forsius, T. Hogasen, A. Wilander, B. L. Skjelkvale, D. S. Jeffries, J. Vuorenmaa, B. Keller, J. Kopacek and J. Vesely Nature 2007; 450: 537-540. 2005 Regional scale evidence for improvements in surface water chemistry 1990–2001. Skjelkvåle, B., J. Stoddard, D. Jeffries, K. Tørseth, T. Høgåsen, J. Bowman, J. Mannio, D. Monteith, R. Mosello and M. Rogora Environmental Pollution 2005; 137: 165-176. 2002 Mercury and Organochlorine Contamination in Brown Trout (Salmo Trutta) and Arctic Charr (Salvelinus Alpinus) from High Mountain Lakes in Europe and the Svalbard Archipelago Rognerud S, Grimalt JO, Rosseland BO, Fernandez P, Hofer R, Lackner R, Lauritzen B, Lien L, Massabuau JC, Ribes A Water, Air and Soil Pollution: Focus 2002; 2 (2): 209-232. 2001 Assessment of nitrogen leaching at ICP-Waters sites (Europe and North America). Stoddard, J. L., T. S. Traaen and B. Skjelkvåle Water, Air, & Soil Pollution 2001; 130: 781-786. 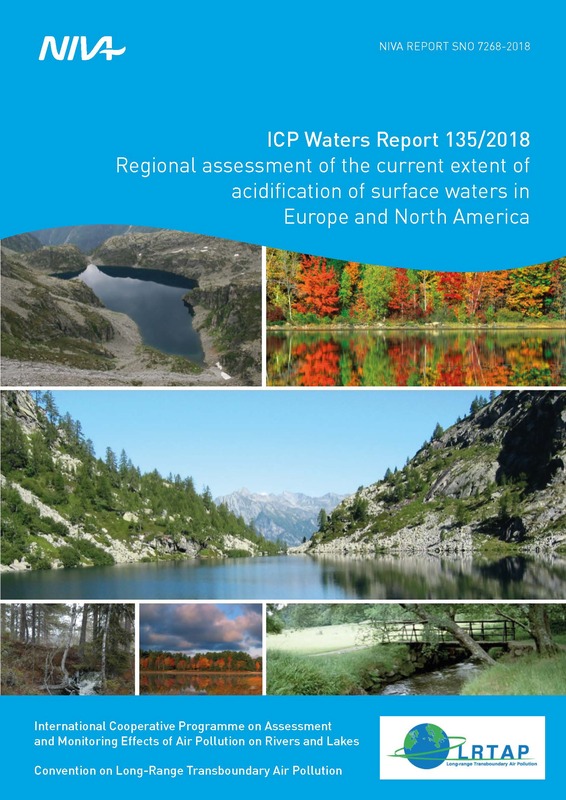 2001 Trends in surface water acidification in Europe and North America (1989–1998). Skjelkvåle, B., J. L. Stoddard and T. Andersen Water, Air, & Soil Pollution 2001; 130: 787-792. 2001 Critical limit of acidifying compounds to invertebrates in different regions of Europe. Raddum, G. G. and B. L. Skjelkvale Water Air and Soil Pollution 2001; 130: 825-830. 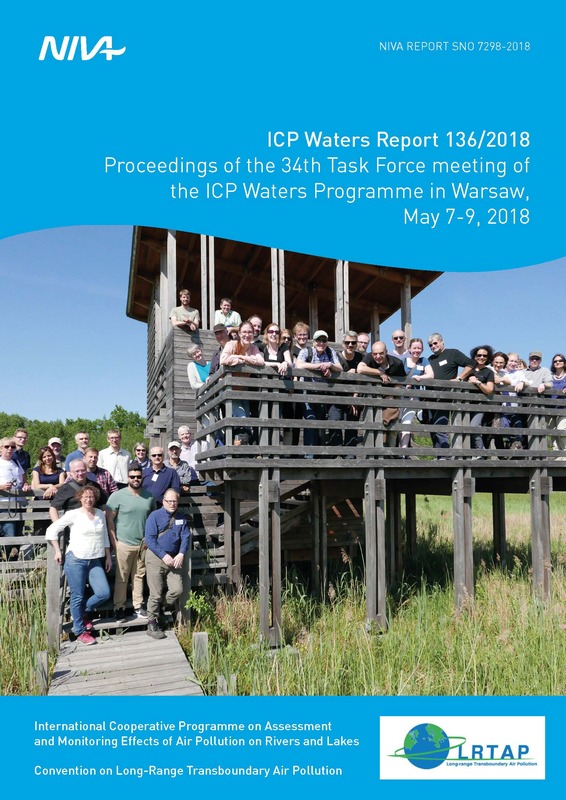 2001 ICP Waters—an International Programme for Surface Water Monitoring. Kvaeven, B., M. J. Ulstein, B. L. Skjelkvåle, G. G. Raddum and H. Hovind Water, Air, & Soil Pollution 2001; 130: 775-780. 2001 Coordinated effects monitoring and modelling for developing and supporting international air pollution control agreements. Bull, K. R., B. Achermann, V. Bashkin, R. Chrast, G. Fenech, M. Forsius, H. D. Gregor, R. Guardans, T. Haussmann, F. Hayes, J. P. Hettelingh, T. Johannessen, M. Krzyzanowski, V. Kucera, B. Kvaeven, M. Lorenz, L. Lundin, G. Mills, M. Posch, B. L. Skjelkvale, M. J. Ulstein and E. B. U. W. G. Ef Water Air and Soil Pollution 2001; 130: 119-130. 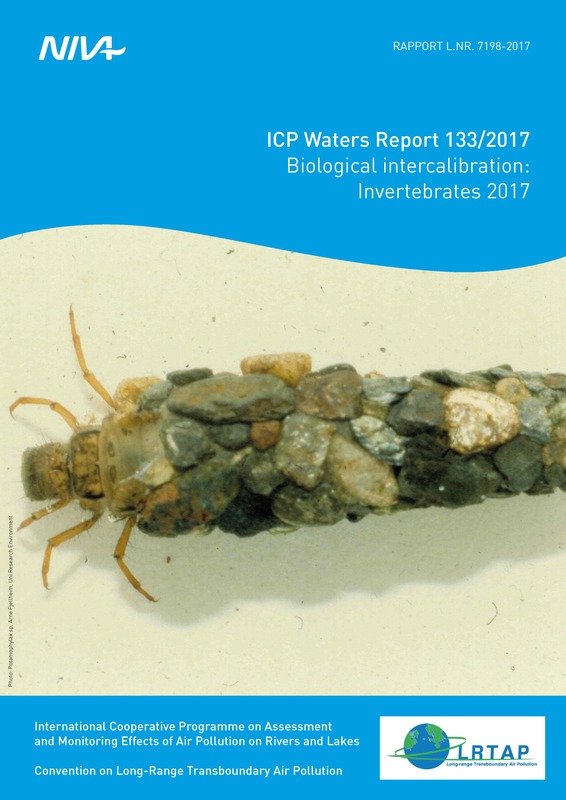 2000 Results from the Italian participation in the International Co-operative Programme on Assessment and Monitoring of Acidification of Rivers and Lakes (ICP Waters). Mosello, R., A. Marchetto, M. C. Brizzio, M. Rogora and G. A. Tartari Journal of Limnology 2000; 59: 47-54. 1999 The ecophysiology and ecotoxicology of fishes as a tool for monitoring and management strategy of high mountain lakes and rivers in acidified areas Rosseland BO, Massabuau JC, Grimalt J, Hofer R, Lackner R, Rognerud S, Lien L Zoology 1999; 102 (2): 90-100. 1997 Acidification trends in surface waters in the international program on acidification of rivers and lakes Newell, A. D. and B. L. Skjelkvale Water Air and Soil Pollution 1997; 93: 27-57. 1995 Critical limits of acidification to invertebrates in different regions of Europe. Raddum, G. G. and B. L. Skjelkvale Water Air and Soil Pollution 1995; 85: 475-480. 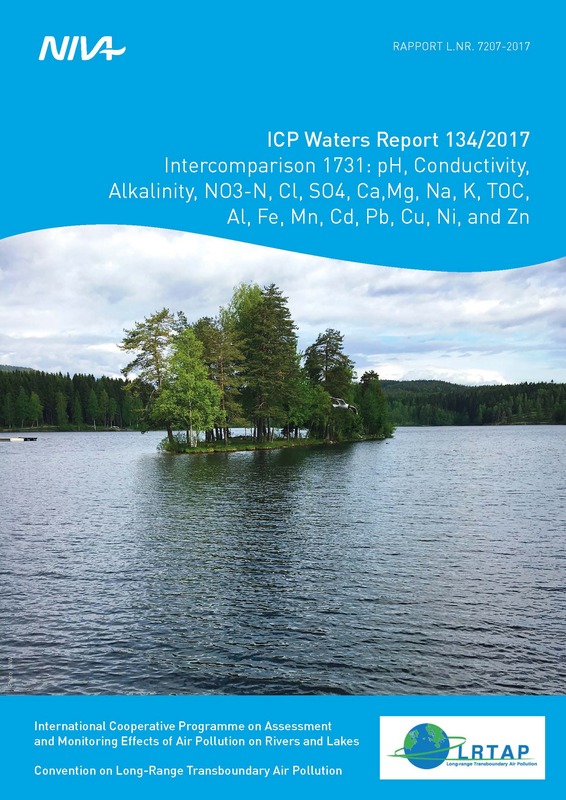 Data from the ICP Waters programme has been incorporated into almost 100 reports and technical articles. The full publication catalogue can be browsed, searched and downloaded at the NIVA Open Research Archive. A selection of the most recent reports are shown in the table below. 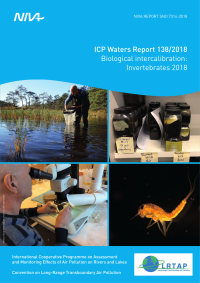 The ICP Waters manual describes methods, operations and protocols to promote the international harmonisation of monitoring practices. 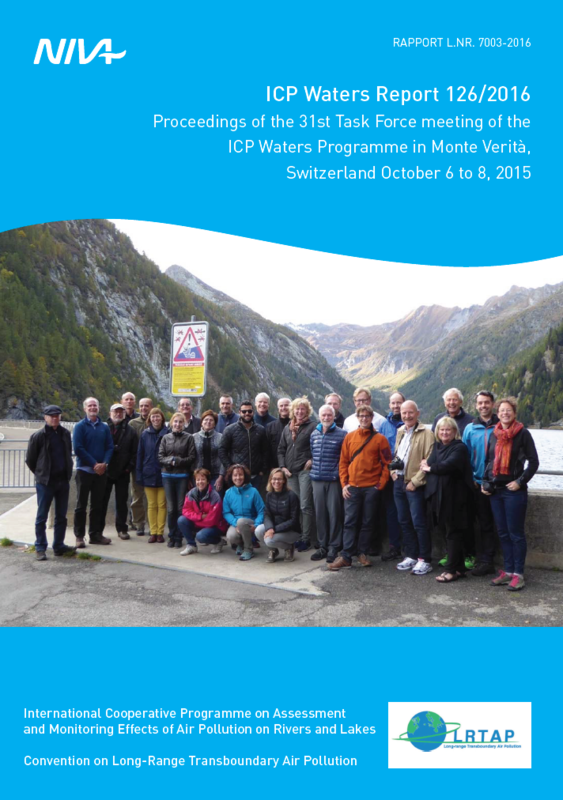 The document is also an overall guide to the activities of – and the priorities set by – the Programme Centre in Oslo. The minutes from the annual Task Force meetings can be found on the Meetings page. Other relevant publications (articles, presentations etc.) are listed in the table below.